Everyone uses email. The younger you are, and the older you are, the less you’ll rely on it; but almost everyone has an email they’re checking regularly. Although, thanks to texting and social media, people are using email differently. Most don’t like reading long emails, and they don’t like getting inundated with SPAM-looking emails. 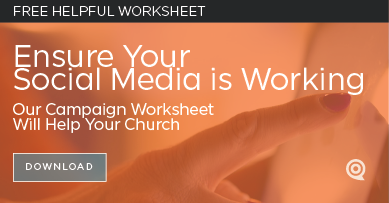 Therefore, your church must make sure your emails are short and anticipated. 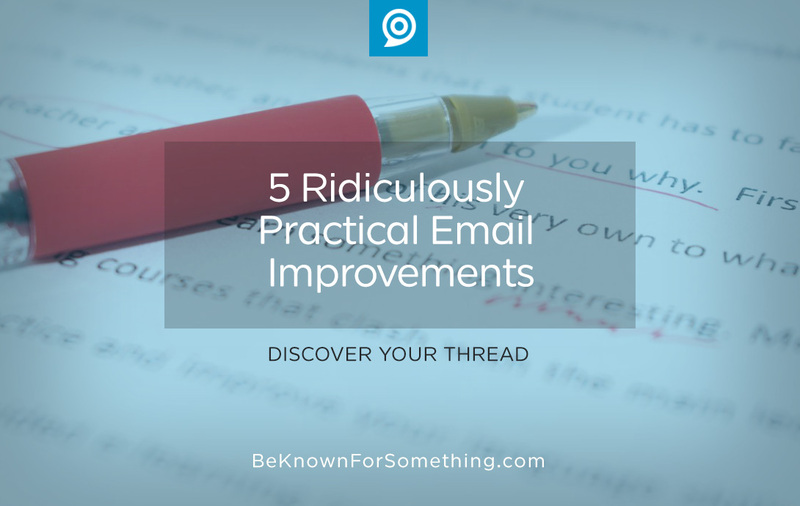 Here’s 5 ridiculously practical ways to make your emails desired — and maybe even read! 1. Improve your list and segment. Constantly look for ways to add to your list and always allow people to unsubscribe. If they don’t want the email, you don’t want to annoy them. Plus, if they leave your list, your open and read rates increase. However, if you have a lot leaving your list, your content is wrong or the list is wrong. Monitor it. Also, think about segmenting the global list so that you can deliver more targeted information. This will reduce the amount of content in an email and allow you to send information directly to a specific group who needs your information. 2. Think about schedule. Switch times occasionally and check if it affects your delivery and read rate. Most churches are sending an email on Wednesday or Thursday. It makes sense, but test other days and times! Once you identify a good time, schedule the email to be sent at the same time(s). Stay consistent so you can be anticipated. 3. Add a good image. We’re a visual society. When someone opens an email, you have a nano-second to capture their interest before they hit the trash can icon. A simple, small image that tells the story of your brand’s thread, your overall email message, and/or a particular announcement will get people to engage with the email. A well-written caption near the image can push information; write it carefully. 4. Make the content wanted. Do you know what you’re trying to accomplish with your email? Does your list know they need what you want to give them? If they don’t, you must emphasize why they need what you’re offering. If they do know they need the information, simply deliver it as quickly and easily as you can. Avoid long paragraphs and, instead, use bullet points (or occasional bolding) so they get the information as they quickly scan your content. Oh, and keep your emails short. Very short. Word counts of over a hundred words will drive people to overly scan and delete. Or maybe just delete. Why risk it? Get them to trust you to do the hard work of editing and only delivering content that they actually need. 5. Connect your email. To keep your emails short, use links to drive them to your website for all the details. Ensure your website is up-to-date, simple, and professional. Don’t drive people to something you’re not proud of. (I hear that gulp!) Instead of considering eliminating your links in the email, consider updating your website. It’s time. And your website is the center of the digital hub of communications! Follow these tips and people will anticipate your emails and engage with you. Imagine! Mark, an you provide some specifics? What is a good open rate for a church? What are some of the best practices for content? Events? Sermon previews? Sermon recaps or. Ext steps? Featured ministry? Guest columns? Other topics? Mediums: Email text? Blogs? Video? Ah the joys of short-form blog posts. Never enough room to post many specifics 🙂 Open rates for most churches are hitting about 30% (ugh!) so if you have better than that, you’re doing well (and it proves that your content is good). Content is so subjective since it relies on your audience. I’d suggest you consider what the average person on your list is looking for and giving it to them as briefly as possible. We know most congregation members want to be aware of events (segmentation helps give them events that would interest them) and stories of life-change (make sure the headlines give them reasons to attend or read). If that’s all you do, most will be happy. If you keep everything short and/or scannable, people will open the email and quickly scan it for something (before hitting the trash can). People don’t take very long before deleting emails they don’t think are important. There was some recent research that says non-designed (text-only) emails tend to get more audience (yikes, that goes against my add-a-photo point). I find that interesting! Guest blogs are good if the topics are right (and directed at your broad audience). Effective communication rises or falls on how well you create content directed at your audience’s needs, concerns, or goals. And how short it all is! Thanks for asking Mark!